The Pflueger Supreme XT Spinning Fishing Reel delivers an unbelievably smooth drag and superior performance in a lightweight frame. Engineered for performance and improved ergonomics, this reel is available in four models that come with the same features. Supreme XT reels are ideal for catching small and large fish in saltwater and freshwater. The reel’s magnesium body and rotor ensure that you won’t get tired after hours of fishing. It sports a braid ready aluminum spool with rubber ridges to prevent the line from twisting. The model 25 (2500) has a gear ratio of 5.2:1 and maximum drag of 8 pounds. However, the models 30, 35 and 40 feature a 6.2:1 gear ratio and maximum drag capacity of 10 pounds, 12 pounds, and 14 pounds respectively. 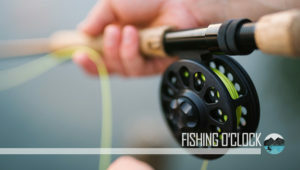 For a smooth and stress-free retrieve, the Supreme XT reel sports an ergonomic carbon fiber handle and EVA handle knob. A sealed carbon fiber drag system sits atop the spool to deliver impressive performance in all fishing conditions. This reel also comes with Pflueger’s Sure-Click bail design that makes an audible snap which notifies you to cast your line. During retrieve, the anti-twist titanium line roller ensures your line does not become entangled or looped on the spool. 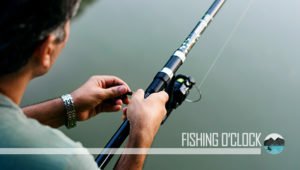 Despite its lightweight design, it also sports enhanced features to make fishing fun and memorable. 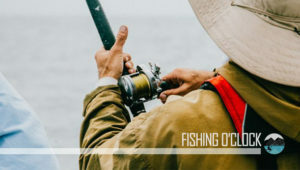 The sturdy magnesium construction and water-resistant carbon inlay drag system ensures you can get years of use out of this fishing gear with no trouble. At less than 6 ounces, the Supreme XT is the featherweight champion of reels. This spinning reel sheds unnecessary weight thanks to the magnesium body, side plate, and rotor. Even the higher capacity SP40X weighs only 8.7 ounces, making it easy to handle for longer periods. Don’t let the lightweight design fool you. 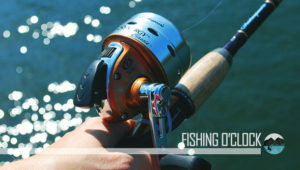 This reel is durable and handles well in freshwater and saltwater. Whether marine or brine fishing, the Supreme XT is one of the top spinning reels amongst anglers of small species. To further reduce weight and improve the longevity of this reel, Pflueger equipped it with a carbon inlay drag knob system. This design reduces the material of the drag system by up to 30 percent. Also, the drag is sealed to prevent the entry of water, sand, or salt into the system, increasing the durability and efficiency of the reel. The result is a smooth and low-noise drag that performs when it matters most. It features a carbon fiber handle and an EVA handle knob for exceptional ergonomics and weight reduction. The carbon fiber not only helps reduce the reel’s weight, but it also increases durability. The padded EVA handle knob provides a cushioned and comfortable surface to crank the line for extended periods without fatigue. Pflueger uses 9 corrosion resistant bearings + 1 roller in the Supreme XT spinning reel. This delivers a smooth and even line casting and retrieval from the beginning to the end of fishing. The Supreme XT sports a double-anodized, corrosion resistant aluminum spool for optimal durability. The spool comes with machine ported sidewalls to reduce weight without compromising on strength. For easy access, the braid ready spool does not need monofilament backing as it comes with rubber rivets that guide the line. You don’t require tape to seal the braided lines as the reel’s design allows you to tie the braid directly. To prevent line twisting and improve line lay, Pflueger added a Slow Oscillation Gearing System. This system slows down the spinning movement of the reel to ensure that the line lies on the spool without entangling or twisting. This solid aluminum-based system comes with an anti-twist titanium line roller. The roller delivers a smooth winding of the line onto the spool. Pflueger’s Sure-Click system produces a snapping sound when the bail is open for casting. A few customers report that the reel is prone to line twisting. This may be because of manufacturing deficiencies in specific reels as most users did not encounter this problem. Another problem which users report with the Supreme XT is that it catches the braid inside the bail roller. This is a design issue as the bail system has a narrow gap used to guide the line. Sometimes, the gap catches the line rather than prevent it from becoming a mess. The spool features portholes which serve aesthetic and functional purposes. However, dirt and grime may accumulate in the holes. The high-end construction of the Supreme XT may make it difficult for less mechanically inclined users to dismantle it for cleaning and servicing. The beautiful Pflueger Supreme XT spinning reel is a lightweight champion with exceptional features and functions. This small but durable spinning reel is ideal for fishing small and large fish and performs with excellence in the hand of a skilled angler. While it is not the cheapest in its class, the overall design and durability make it a worthy investment.